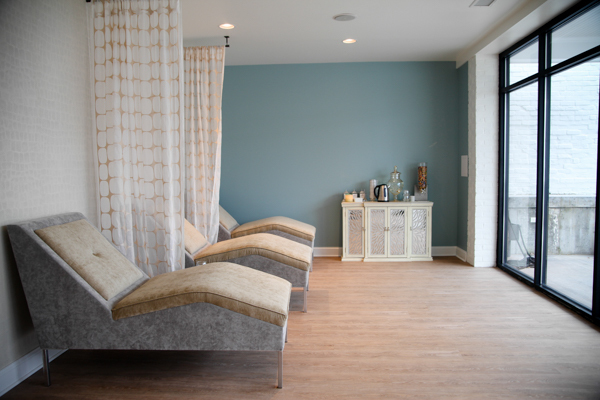 A few weeks ago I received a text from my friend Alyssa to say that she was working at a new spa, Neroli Spa & Beauty Lounge. I have treated myself to several of Alyssa’s facials in the past, and she is the best in town! 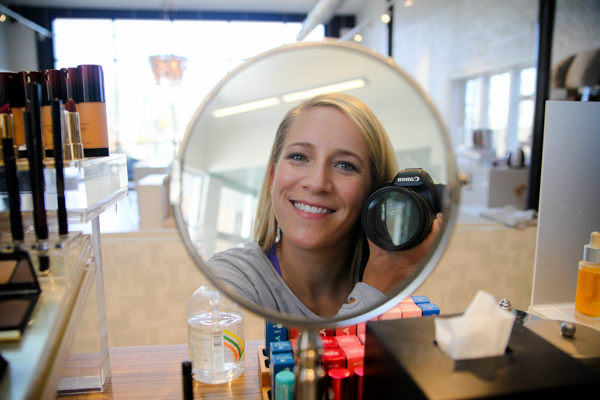 She invited me to see the new space, and had me act as her face model while she learned a new product. A few weeks later, Alyssa and Suzanne, the owner, invited me in for a morning of pampering to share the experience with you guys. I can also review massages, hot tubs, nap pods, infinity pools, hotel penthouses, floating salt pools, and clouds. I am a woman of many talents, cloud reviews being one of my best. Just ring me up!! Haha. 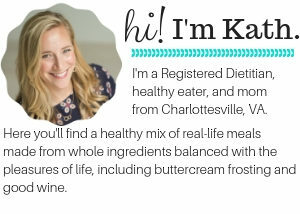 I do have a special deal to share with any of you in Cville, so check the end of this post for the details! 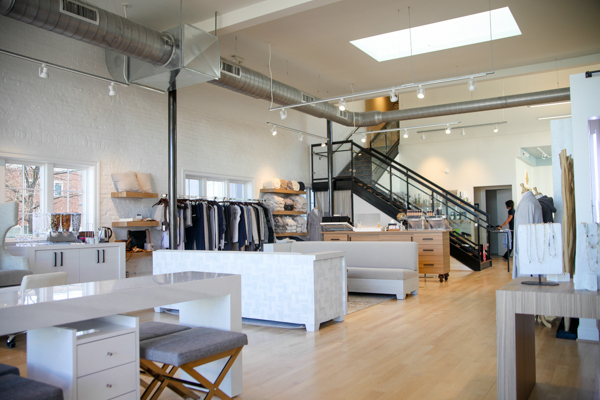 Neroli Spa moved from its previous location at Barracks Road Shopping Center over to this gorgeous new airy loft on West Main Street behind Oak Hart Social. 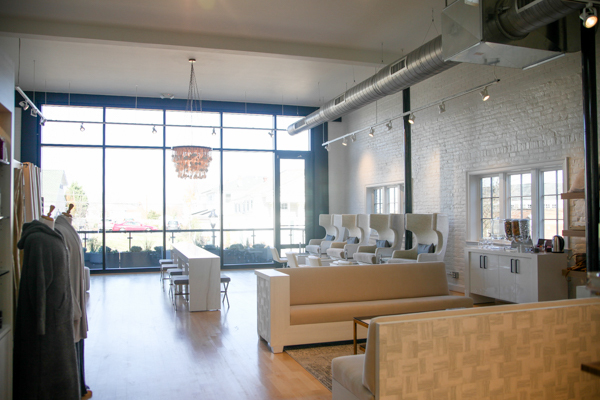 The new space is perfect for bridal parties, girls gatherings, bachelorettes, or just those seeking relaxation. 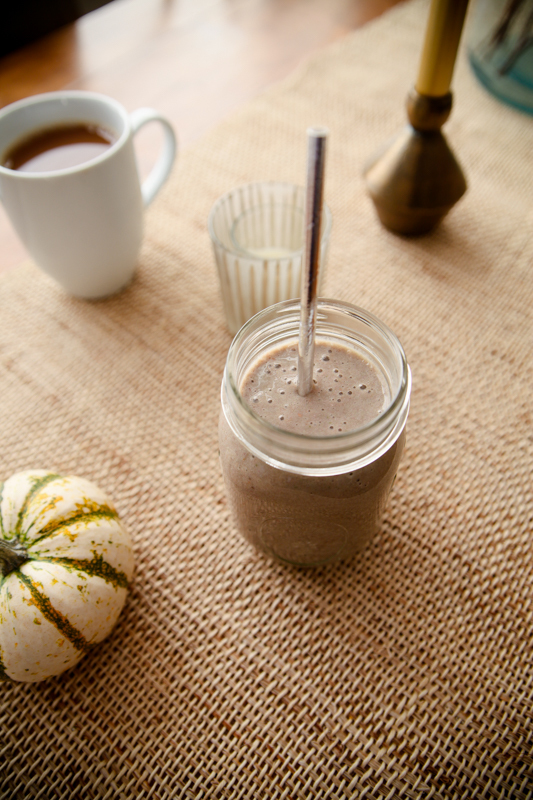 My day started at home with a chocolate Vega smoothie made with peanut butter, banana, and spinach, and coffee. Upon arrival, I put on a robe and spent some time relaxing in the lounge before I was called for my first treatment. 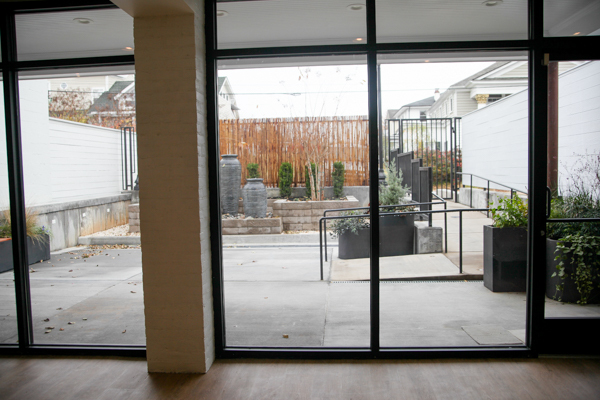 In the warmer months, there will be furniture on the patio garden so guests can step outside between sessions. 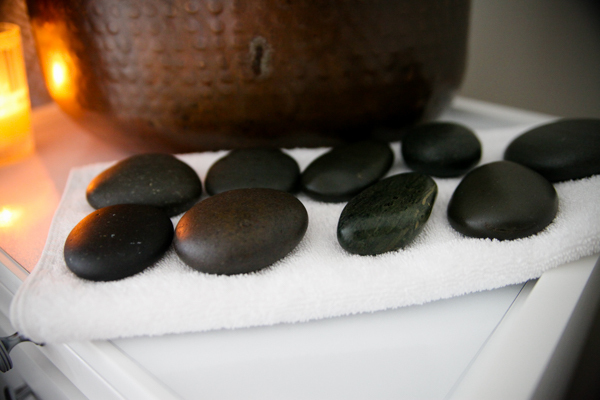 I was called for my first treatment, which was a sampling of several of the Neroli Spa body treatments beginning with hot stone massage. 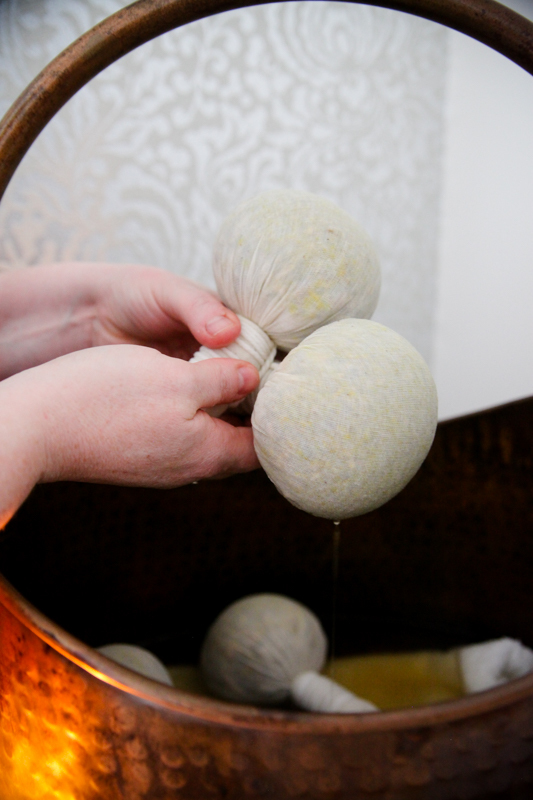 I was also given a few minutes of the ELEMIS Poultice Powered Muscle Release, where the therapist pressed these poultice packs filled with a blend of herbs and amber into my shoulders and back. I loved the element of surprise throughout the hour! 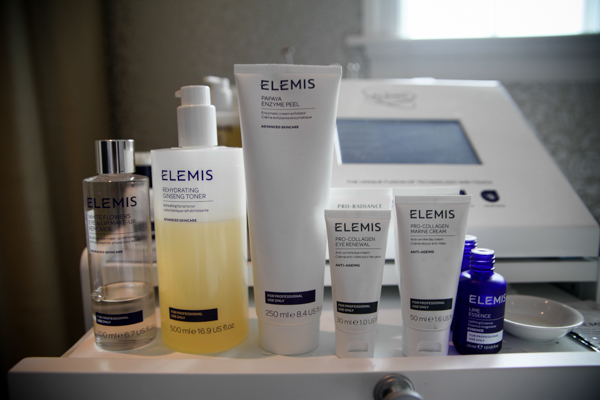 Neroli Spa uses the ELEMIS line of products, and the aching muscle body balm that my therapist massaged into my sore legs felt so good. 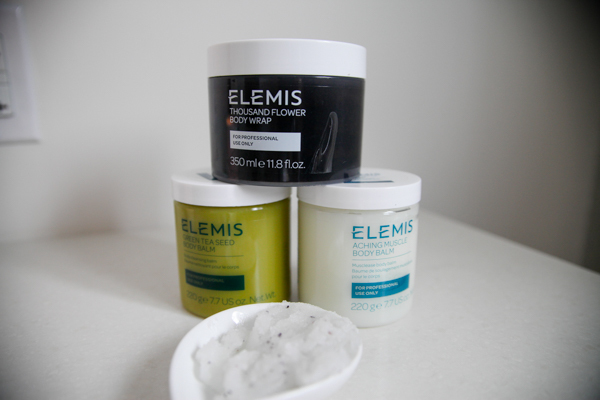 Unlike products with a ton of menthol, this had warming eucalyptus and didn’t leave me freezing. I was able to take a hot shower in between treatments to rinse off, and that was a nice touch! Next I had a facial with Alyssa! 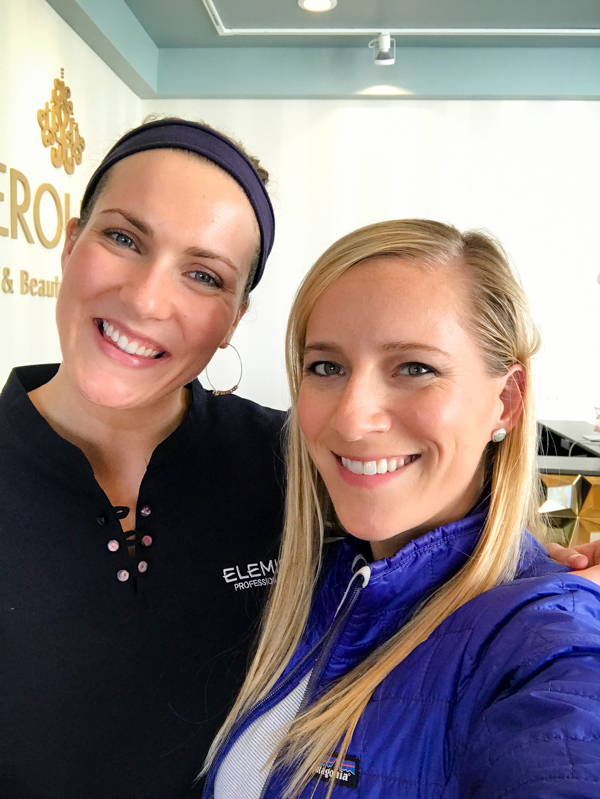 She gave me the Superfood Pro-Radiance Facial, appropriate for Kath Eats Real Food : ) My favorite product was the Papaya Enzyme Peel, which smelled SO GOOD! Like the tropics in a bottle. Alyssa’s facials are the best because she has the most gentle touch, including the transitions between products, cloths, and massage. The every minute of the treatment is soothing. My favorite part was when she painted on a thick mask and then peeled it off in one swoop when it had dried. 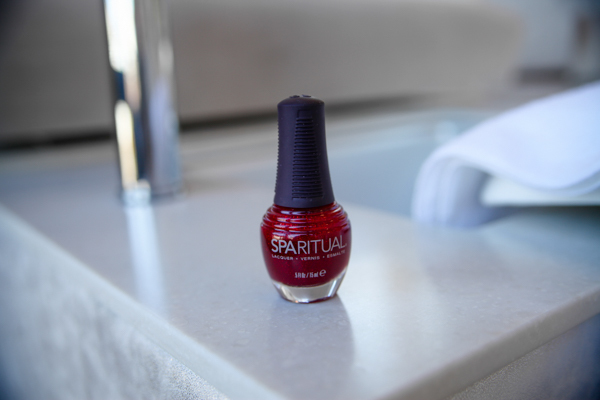 After I got my glow on, I headed back upstairs for the Ultimate Pedicure. 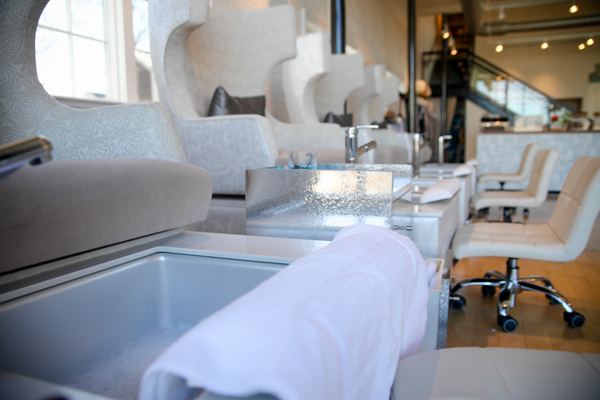 The pedicure includes more than just trimming and polishing: hot stones, the papaya enzyme treatment on the legs, and a parafin dip. I loved the cute warm booties! Finally the girls surprised me with a little make-up to send me out the door. Neroli Spa offers full-service make-up as well, including bridal and special occasions. 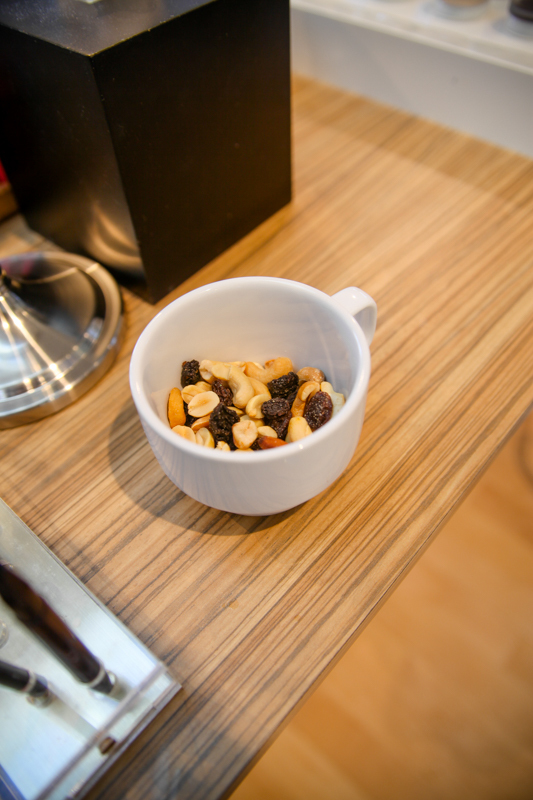 I snacked on some of that yummy trail mix since we were into lunch time! And now for a treat for any of you locals!! 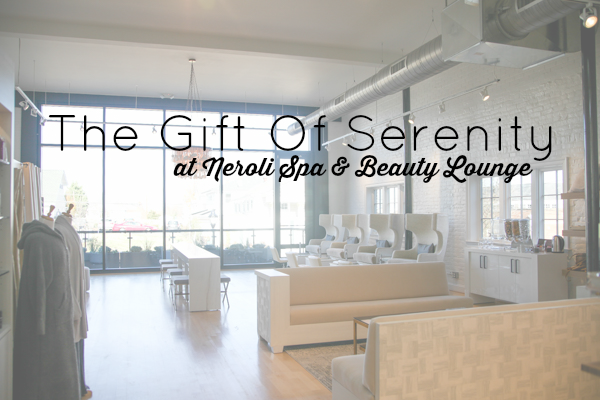 Neroli is offering 20% off of all services to KERF readers through January 31! Just mention Katheats when you call or visit. I can’t think of a single woman who wouldn’t love a spa gift card for Christmas. Mention this post to receive a $25 bonus on any $100 gift card purchase. Thanks to Alyssa and the team for the wonderful morning of serenity! 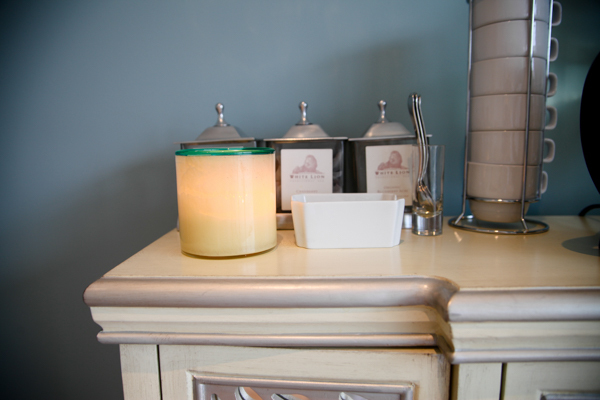 Visit Neroli Spa’s website for more info on all the services they offer. What an awesome experience! I would love to be a professional salon reviewer too. 😉 You look wonderful! Perfect amount of make-up to accentuate your features but not distracting or too much. Oh wow, that looks like my idea of heaven! Love the protein smoothie touch, that’s such a nice little extra! That spa is the most gorgeous spa ever! I would love to design my house that way. I’m so glad you got to spend the morning there and relax. Looks amazing! Sounds like a great experience! Wish I lived in Cville so I could try it out! One question, what do you mean by cloud reviews? Like clouds in the sky? Maybe I’m just tired and am not getting the reference, lol. The spa looks amazing. If I was local I would definitely try it. 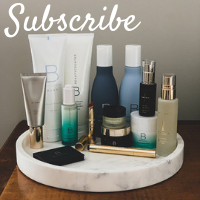 Plus your makeup is gorgeous! I agree about the ads. The post was wonderful and then every other picture was this weird cartoon spoon filled with lotion, or a woman with her new career in cosmetology. I get that blogs need ads but these didn’t seem “on brand” for you or this post. I just emailed my manager to have the number significantly reduced. Lucky you to get so few. I got a dozen. I know that ads bring income, but the number of ads on this site is beginning to cross a line and really reduces my likelihood of maintaining a regular reading pattern. Gorgeous, but I agree with the comment…ads kept popping up…and were so ‘interwoven’ through out the article that it was distracting.